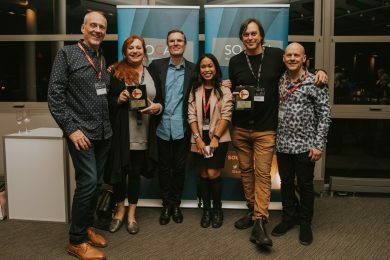 Left to right: SOCAN’s Michael McCarty, Yaletown’s Janice Staub, SOCAN CEO Eric Baptiste, SOCAN’s Racquel Villagante, Hyvetown’s Patrick Zulinov, SOCAN’s Rodney Murphy. 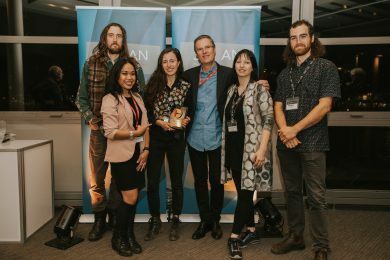 About 220 of our members and other music business stakeholders gathered at a SOCAN Family & Friends Bash in Vancouver, from 5:00 to 8:00 p.m. on Nov. 29, 2018, to meet with our staff, connect with each other, and enjoy some sparkling wine, an open bar, hors-d’œuvres, pizza, and salad. Held at Waterview, under the Granville Bridge, the reception drew a wide variety of members from across all ages and musical genres, as well as industry tastemakers and key influencers. Four SOCAN No. 1 Song Awards were presented at the beginning of the night. Two were earned by four-time JUNO Award winners Three Days Grace, who’ve now enjoyed 14 No. 1 songs at the top of the Billboard Mainstream Rock chart – officially breaking Van Halen’s two-decade record topping it. 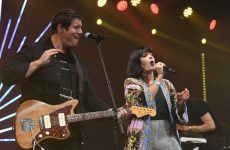 “The Mountain,” which scaled the peak of the chart on March 31, 2018, was co-written by Gavin Brown, and band members Neil Sanderson, Barry Stock, Brad Walst, and Matthew Walst. The song is co-published by Hyvetown Music Publishing, CCS Rights Management, and Wixen Music Canada. The band’s song “Infra-Red” also reached the top of the chart, on Sept. 15, 2018, and is co-written by Brown, Sanderson, Stock, and the Walst brothers, as well as Dan Kanter and Isaiah Steinberg. It’s also published by Hyvetown, CCS, and Wixen. 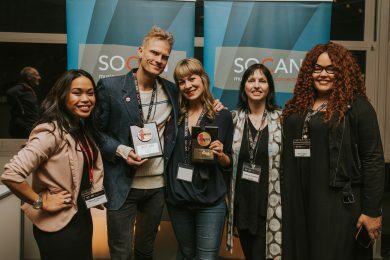 Jill Barber and Ryan Guldemond were pleased to accept their SOCAN No. 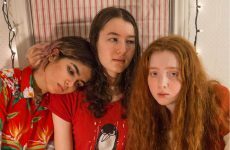 1 Song Award for co-writing “Girl’s Gotta Do,” which topped the CBC Music Top 20 on May 31, 2018. 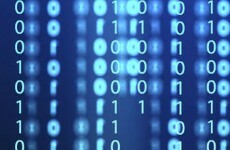 The song is published by Universal Music Publishing Group Canada. 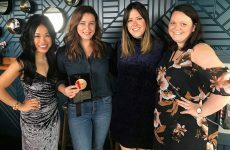 Also on hand to cheer on the presentation was a contingent from Watchdog Management – which oversees Guldemond’s musical career – that included Sarah Fenton, Rick Richardson, Kassia Edwards, Gillian Tringham, and Anastasia DeRosa. the CBC Music Top 20 on April 19, 2018, in a recording by Mitic with her band, Carmanah – whose members also attended the gathering, to celebrate the occasion. 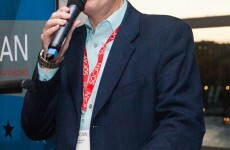 network, and share their perspectives, at the event. Attendees also included The Faceplants’ Dan Botch, as well as Cassie Dasilva (who flew in from Los Angeles), both alumni of SOCAN’s West Coast-based Kenekt Song Camps. Attending on behalf of SOCAN were CEO Eric Baptiste and President of the Board of Directors Marc Ouellette, as well as Michael McCarty, Rodney Murphy, Erica Grayson, Racquel Villagante, Gary Laranja, Coralie Hummel, Pat Mueller, Paul Tansey, Craig Horton, Lea Faradian, and Sara Pavilionis. 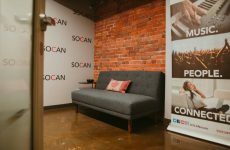 SOCAN opens new Vancouver office! 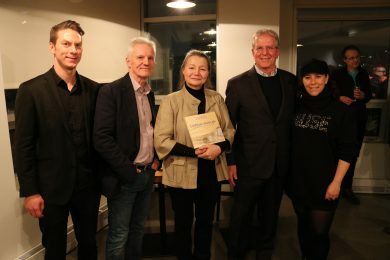 On Dec. 6, 2018, SOCAN’s Montréal office hosted a book launch for the second edition of the reference text L’Édition musicale, de la partition à la musique virtuelle” (freely, Music Publishing, From sheet music to virtual music), written by Daniel Lafrance and Serge Provençal, in collaboration – for this edition – with Claude Brunet. Left to right: Jérôme Payette (APEM), Daniel Lafrance, Aline Côté (Éditions Berger), Claude Brunet, and Yzabel Beaubien (APEM). The first edition of the book fulfilled its essential mission: creating a tradition of proficiency in music publishing, by placing the profession at the heart of the value chain between the lyricists, songwriters, composers and artists, both amongst themselves and with the public. This second edition reflects the astounding changes that have affected the way music is exploited, and the equally formidable ways in which music publishing has had to adapt, in order to identify and protect the creativity of songwriters, and to promote that creativity in the greatest number of niches, avenues, and territories possible. 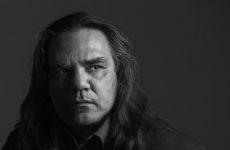 Daniel Lafrance won the 2017 SOCAN Publisher of the Year Award, the 2013 Christopher J. Reed Award, as well as nine Félix Awards as Publisher of the Year. He’s also studied anthropology, administration, and music. 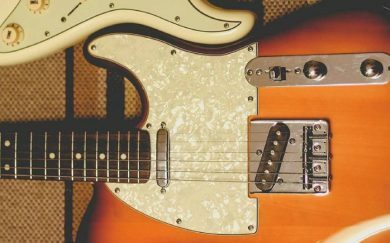 He began his career as a guitarist, and moved on to composition and teaching; he’s also served as a talent manager, tour director, and record producer. He’s devoted all of his energy to publishing since 1990, and as such has overseen the career development of countless lyricists, songwriters, and composers. After stints in radio, recording, and artist management, Serge Provençal practised intellectual property, entertainment, and business law. He represents creators, producers, and associations from the fields of recording, stage performance, booking, music publishing, and film and television, as well as teaching at the Université de Montréal. 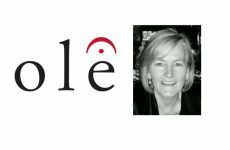 The second edition was also prepared in collaboration with Claude Brunet, who’s worked with SOCAN and the Canadian government, as well as being a member of delegations to UNESCO and the World Intellectual Property Organization (WIPO). His exceptional work in the field of entertainment and intellectual property law has been recognized many times, and he has won many awards, including the Beaumarchais Medal and the Christopher J. Reed Award in 2016. 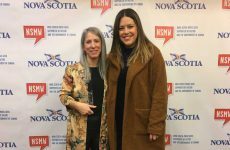 SOCAN members Lynne Hanson and Lynn Miles, of The LYNNeS, won the SOCAN-sponsored English Songwriter of the Year honour, for their album Heartbreak Song For The Radio, at the 2018 Canadian Folk Music Awards, held Nov. 30 and Dec. 1, 2018, at The Gateway in Calgary. 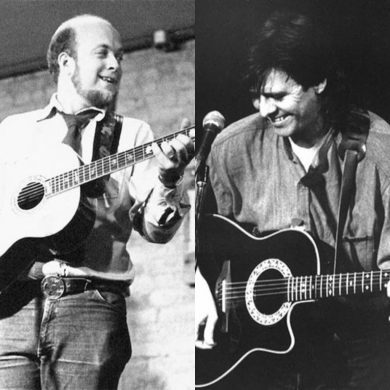 The duo also earned the Ensemble of the Year Award, based on the same album. The French Songwriter of the Year Award was presented to Anik Bérubé and Natalie Byrns of the duo Ancolie, and their co-writers Christian Bernard and Frédéric Joyal, for their album, Le soleil en bulle. 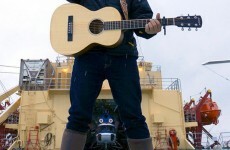 The group Shauit received the Indigenous Songwriter of the Year honour for their album Apu peikussiakᵘ. 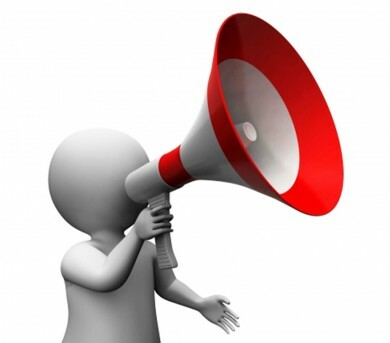 For more information, and a complete list of nominees and winners, visit the CFMAs website.